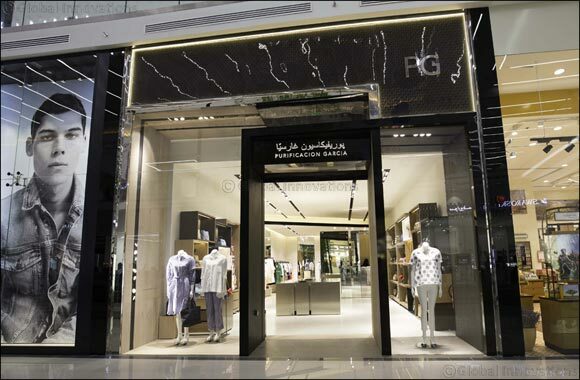 June 20, 2017: Purificación García, the emblematic Spanish fashion and accessories designer has just opened her third and fourth boutiques in Hamrah Mall, Riyadh and Doha Festival City in Qatar. The stores mark the continuation of the brands’ expansion in the Middle Eastern region. With two collections, ladieswear and accessories, Purificación García aims to bring her personal vision of fashion to the Middle East market; a vision which represents a universal language that is capable of adapting to everyday needs. Since her beginnings in the 1980s, Purificación García has created clothing for the kind of woman whose approach to life has gradually evolved. The real woman has been, and remains, her starting point. A woman who looks for comfort without sacrificing style; a woman who understands trends and loves design but whose image is not dependent upon the dictates of fashion; a woman who knows how to make the most of her wardrobe in which can always be found exquisite essentials combined with special styles or fabrics. The designer believes in versatile designs and neutral colours but with a special emphasis on fabric, “because handfeel indicates movement and suggests proportions, and because genuine innovation in fashion is in the fabric”. In similar fashion, Purificación García sees accessories as a key piece in her collections and has been widening her range to offer options covering all needs. In short, the Purificación García spirit reflects a style that combines sobriety and discipline with confidence and ease.